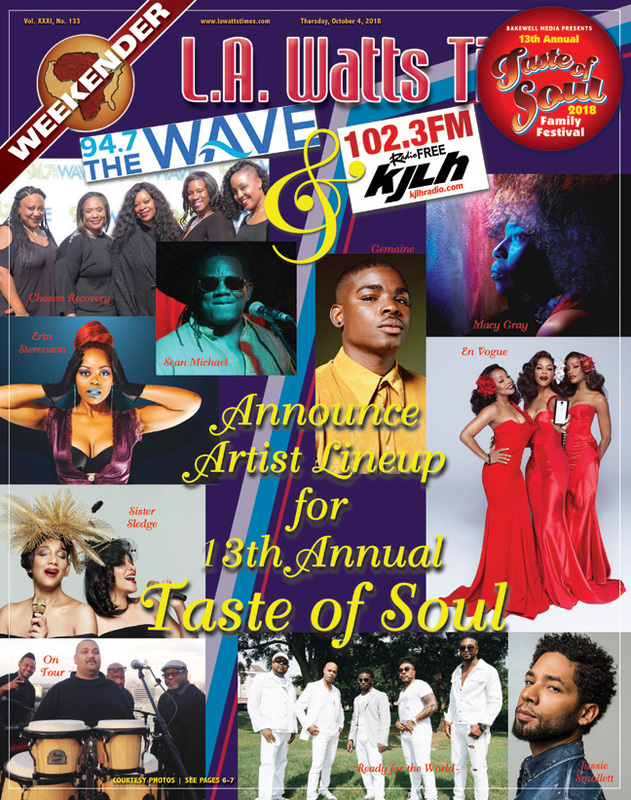 NO PURCHASE, PAYMENT OR SUBMISSION TO A SALES PRESENTATION OF ANY KIND NECESSARY TO ENTER OR WIN. A PURCHASE WILL NOT INCREASE YOUR CHANCES OF WINNING. 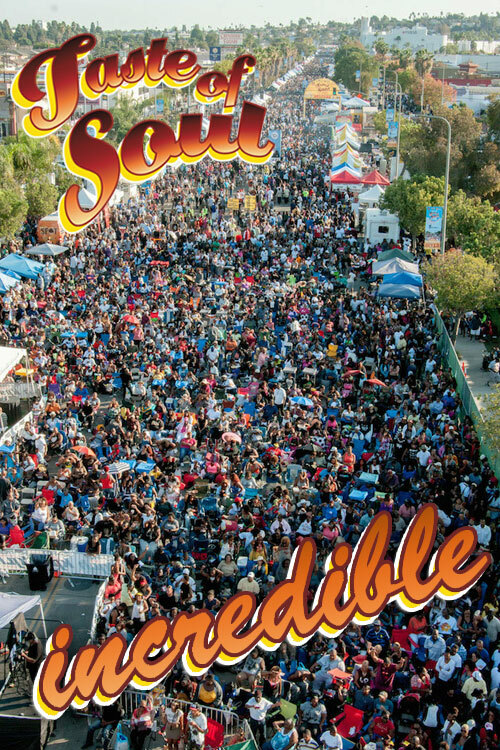 ELIGIBILITY: The Hyundai “Reimagine Everything at Taste of Soul Los Angeles” Contest (“Contest”) is open only to legal residents of California who are at least twenty-one (21) years of age at the time of entry. Must have a valid U.S. driver’s license to claim the prize. Employees, officers, and directors (including immediate family members (spouse, parent, child, sibling and their respective spouses, regardless of where they reside) and members of the same household, whether or not related) of Hyundai Motor America (“Sponsor”), Centra Marketing & Communications, LLC d/b/a Centra360 (“Contest Administrator”), Innocean Worldwide Americas, LLC, the Los Angeles Sentinel or its related companies, and each of their respective parents, affiliated companies, subsidiaries, licensees, distributors, dealers, retailers, printers, advertising and promotion agencies, and any and all other companies associated with the Contest are not eligible to enter or win. Any person who has been convicted in a court of law or entered a plea of guilty or no contest to Driving While Intoxicated (“DWI”) or Driving Under the Influence (“DUI”) within the 10-year period prior to August 20, 2018 will not be eligible to enter or win. The Contest is subject to all applicable federal, state, and local laws, rules, and regulations. Void outside of California and where prohibited or restricted by law. By participating, entrants agree to be bound by these Official Rules and the decisions of the Sponsor, which are binding and final on matters relating to the Contest. HOW TO ENTER: The Contest begins at 12:00 PM Pacific Time (“PT”) on August 21, 2018 and ends at 11:59:59 PM PT on November 5, 2018 (“Contest Period”). Sponsor’s computer is the official clock of the Contest. 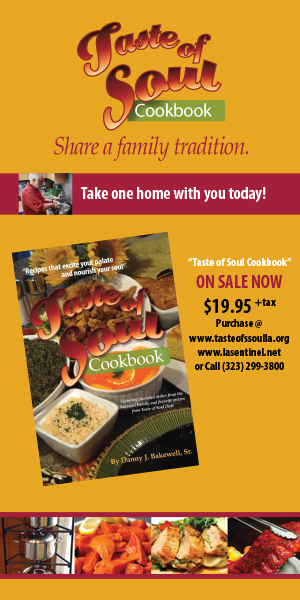 To receive one (1) entry into the Contest, during the Contest Period, you must (i) download the free Taste of Soul Mobile App using a smart phone from either the Apple App Store, the Android Market, or Google Play, (ii) follow the in-App instructions to register (which includes providing the entrant’s name, age, email address, and city and state of residence), (iii) follow the instructions to visit HyundaiDiversity.com/taste-of-soul, and (iv) once at HyundaiDiversity.com/taste-of-soul and after reading and accepting these Official Rules, follow the instructions to record and upload an original video (minimum ninety (90) seconds in length to up to two (2) minutes in length; video must not include any identifiable person(s) other than the entrant) describing how you will help make Los Angeles a better place for all (hereinafter individually an “Entry” and collectively “Entries”). Any video longer than two (2) minutes or shorter than ninety (90) seconds will be ineligible and will not be considered. Incomplete submissions and those that do not comply with the Video Requirements set forth below will not be eligible for the Contest. Conditions of Entry: If any Entry fails to comply with any of the Video Requirements or any other provisions of these Official Rules, Sponsor and Contest Administrator reserve the right to disqualify the entrant. By submitting a video, an entrant agrees that his/her Entry is gratuitous and made without restriction, and will not place Sponsor under any obligation and that Sponsor is free to disclose the ideas contained in the Entry on a non-confidential basis to anyone or otherwise use the ideas without any compensation to the entrant. Entrant acknowledges that, by acceptance of his/her video, Sponsor does not waive any rights to use similar or related ideas previously known to Sponsor, or developed by its employees, or obtained from sources other than the entrant. Entrant agrees that Sponsor may post the video on any websites associated with the Contest, including Sponsor’s social media channels, and grants to Sponsor the worldwide, transferable, non-exclusive, royalty-free, perpetual, irrevocable, and fully sub-licensable right to use, reproduce, modify, adapt, publish, translate, create derivative works from, distribute, and display entrant’s video (including all images depicted therein) throughout the world in any media (whether now known or hereafter devised). DIGITAL MILLENNIUM COPYRIGHT ACT: Once an Entry is entered into the Contest, any such Entry will be deemed made at the direction of the entrant within the meaning of the Digital Millennium Copyright Act and the Communications Decency Act. EACH ENTRANT REPRESENTS, UNDERSTANDS AND ACKNOWLEDGES THAT HE/SHE WILL NOT BE PAID FOR OR RECEIVE ANY FORM OF COMPENSATION OR ROYALTY (OTHER THAN THE PRIZE STATED HEREIN IF SELECTED AS A PRIZE WINNER) IN EXCHANGE FOR GRANTING SPONSOR THE NON-EXCLUSIVE LICENSE RIGHTS OR FOR ANY SUBSEQUENT USE OF SUCH ENTRY BY SPONSOR. If requested, entrant will sign any documentation that may be required for Sponsor or its designees to make use of the non-exclusive rights entrant is granting to use the Entry, including Sponsor’s use of the video on its social media channels and other online platforms. IMPORTANT: Message and data rates may apply. Not all smart phone providers may carry the services necessary to participate in this Contest. Entrants should consult their wireless providers’ pricing plans. Entry Limit: Limit one (1) Entry per person, per email address for the entire Contest Period. Any attempt by an entrant to obtain more than one (1) Entry may result in entrant’s disqualification, subject to Sponsor’s sole discretion. PRIZE WINNER SELECTION: On or about November 16, 2018, all eligible Entries received during the Contest Period will be judged by a panel of qualified judges selected by the Sponsor (“Judges”). The Judges will score the Entries according to the following weighted criteria: (i) Sticks to the Theme (the story effectively explores or relates to the Contest theme): 33%; (ii) Originality (is the video original and innovative? ): 33%; and (iii) Memorable/ Creativity (how well does the video draw in the viewers and keep their attention? ): 34% (“Judging Criteria”). The five (5) entrants with the Entries that receive the highest scores will each be declared potential finalists. Each finalist will be subject to a background check. Sponsor reserves the right to disqualify a finalist based on the results of such background check if Sponsor determines in its sole discretion that awarding the prize to any such individual might reflect negatively on the Sponsor. The one (1) entrant with the Entry that receives the highest score will be declared the potential prize winner, pending verification of eligibility, background check results, and compliance with the Official Rules. In the event of any ties, the Entry with the highest score in criterion will prevail. In the event there are still any ties, the tied Entries will be judged again by the Judges and the Entry with the highest overall score will prevail. The decisions of Sponsor, Contest Administrator, and Judges are final and binding on all matters relating to this Contest. NOTIFICATION: On or about November 28, 2018, the potential prize winner will be notified at the email address provided at the time of Entry with instructions on how to claim the prize (“Prize Notification”). In the event that the potential prize winner does not respond to the Prize Notification within five (5) business days of the date of issuance or declines the prize for any reason, a disqualification will result, the prize will be forfeited, and, at Sponsor’s sole discretion and time permitting, an alternate potential prize winner may be selected according to the Judging Criteria in Section 3. The potential prize winner will be required to execute, have notarized, and return an Affidavit of Eligibility and, unless prohibited by law, a Release of Liability and Publicity, within five (5) business days of the date of issuance. Failure to submit any identification required by Sponsor or Contest Administrator or to return the required documents within the specified time period, non-compliance with these Official Rules, or the return of the prize (or any portion thereof) or Prize Notification as undeliverable may result in disqualification and prize forfeiture and, at Sponsor’s sole discretion and time permitting, may cause an alternate potential prize winner to be selected according to the Judging Criteria in Section 3. Only three (3) alternate prize winners may be selected, after which the prize will remain un-awarded, subject to Sponsor’s sole discretion. Prize (1): The prize consists of one (1) 2018 Model Year Hyundai Kona Limited including applicable sales tax, registration fees, title fees, and license fees (hereinafter, the “Prize” or “Vehicle”). 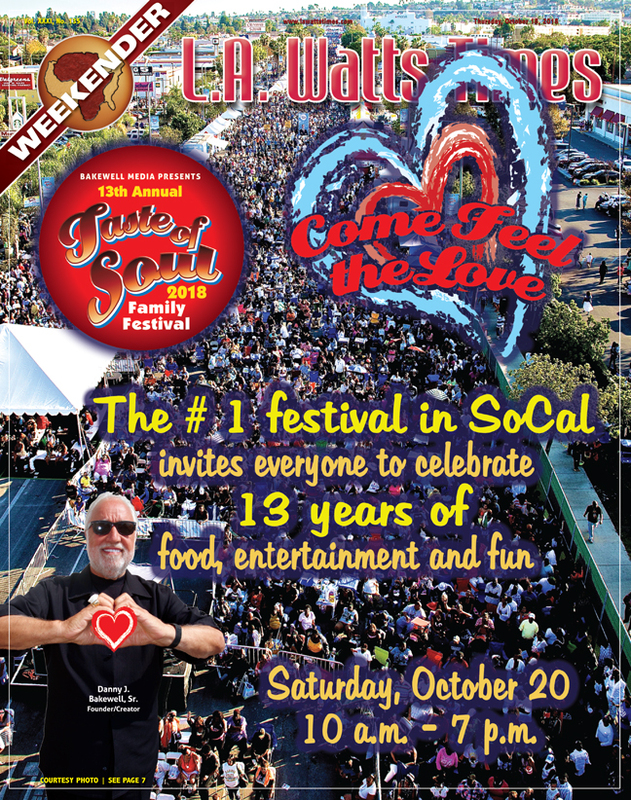 All Prize details, including, but not limited to, specific colors, features, and additional options (if any) are determined by Sponsor in its sole discretion and subject to availability. No Vehicle substitutions or upgrades will be allowed, except at Sponsor’s sole discretion as provided herein. Prize winner will not receive the difference in cash if a Vehicle that has a retail value less than that of the advertised Prize is selected. In the event the Vehicle cannot be supplied for any reason, a similar vehicle of comparable value may be substituted at Sponsor’s sole discretion. The Prize is non-transferable and non-assignable, with no cash redemptions or exchanges except at Sponsor’s sole and absolute discretion. Sponsor reserves the right to substitute the Prize (or any portion thereof) with a prize of comparable or greater value at its sole and absolute discretion. The actual style, model, make, color, design, and features of the Vehicle may vary from any depictions of it in the Contest promotional materials. No more than one (1) Prize will be awarded. The Manufacturer’s Suggested Retail Price of the Vehicle is $26,055. The approximate retail value (“ARV”) of the Prize (including applicable sales tax, registration fees, title fees, and license fees) is $29,050. Prize Requirements: Prize winner must be a licensed driver and will be required to provide proof of insurance at time of delivery. Prize winner must take delivery of the Vehicle, at his or her own expense, at the location specified by Sponsor (Sponsor will attempt to arrange pickup for prize winner at a dealership near prize winner’s residence), or the Vehicle may, at Sponsor’s sole discretion, be forfeited. No other delivery option will be available. If the Prize is not claimed for any reason by the prize winner within ninety (90) days of Prize award, the Prize shall be forfeited and no further consideration shall be provided unless expressly agreed in writing by Sponsor. Sponsor will be responsible for the cost of Vehicle, applicable sales tax, registration fees, title fees, and license fees. Sponsor’s payment of such taxes and fees may not be sufficient to cover the prize winner’s actual tax liability related to winning the Prize, and the prize winner will be solely responsible for all tax obligations associated with the Prize. In particular, prize winner is responsible for luxury tax, destination charges, additional equipment/options, insurance, gasoline, vehicle maintenance, emissions inspections, any and all applicable federal, state, and local taxes (including income and withholding taxes), and all other costs incurred in claiming, registering, or using the Vehicle. Prize winner will be issued a form 1099 for tax purposes in the amount of the actual retail value of the Prize and must submit his/her social security number, as required by law. General: In no event will more than one (1) Prize be awarded. If, for any reason, more Prize notifications are sent (or more claims are received), Sponsor reserves the right to award the Prize using the prize winner selected method described in Section 3. WAIVER OF LIABILITY/PUBLICITY RELEASE: By participating in the Contest and submitting an Entry, each entrant agrees to (i) be bound by these Official Rules, including all Entry requirements, and (ii) waive, on behalf of entrant and entrant’s heirs, any and all claims against, and to release and hold harmless, Sponsor, Contest Administrator, and each of their respective parents, affiliated companies, subsidiaries, officers, directors, employees, agents, licensees, distributors, dealers, retailers, printers, representatives and advertising and promotion agencies (including, without limitation, Innocean Worldwide Americas, LLC), and any and all other companies associated with the Contest, and all of their respective officers, directors, employees, agents and representatives (collectively, “Released Parties”) for: (a) any injury, damage or loss that may occur, directly or indirectly, in whole or in part, from the participation in the Contest or from the receipt or use of the Prize (or any portion thereof) or any travel or activity related to the receipt or use of the Prize (or any portion thereof); (b) any claim or action based on publicity rights, defamation, invasion of privacy, copyright infringement, trademark infringement, or any other intellectual property-related cause of action; and/or (c) any claim or action or claim brought by a person appearing in the entrant’s video whose consent entrant did not obtain. 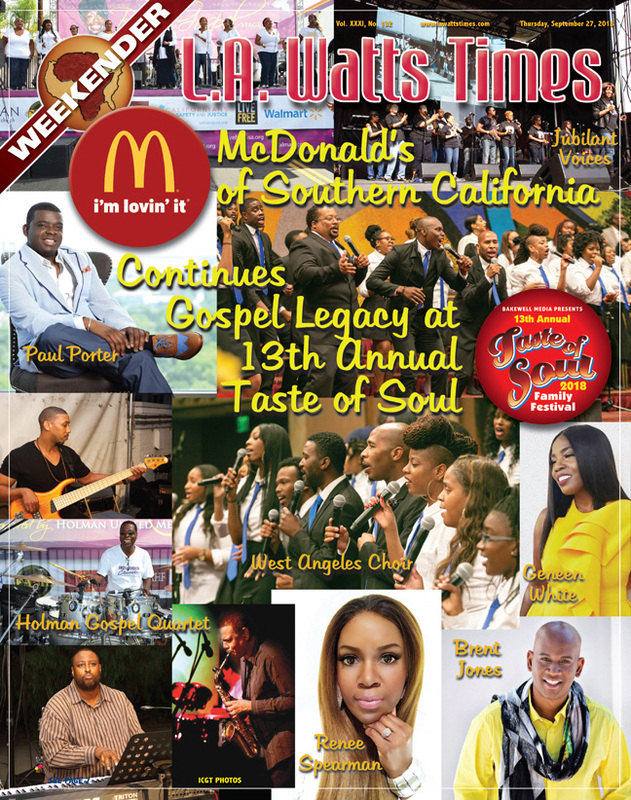 By entering this Contest, each entrant gives his/her express permission to be contacted by Sponsor and Contest Administrator by telephone, email, and/or postal mail for Contest purposes. Entrants grant to Sponsor and its designees the right to publicize an entrant’s name, address (city and state of residence), photograph, voice, statements and/or other likeness and Prize information for advertising, promotional, trade and/or any other purpose in any media or format now known or hereafter devised, throughout the world, in perpetuity, without limitation and without further compensation, consideration, permission or notification, unless prohibited by law. GENERAL CONDITIONS: Released Parties are not responsible for stolen, late, incomplete, illegible, inaccurate, misdirected, lost, misrouted, scrambled, damaged, delayed, undelivered, mutilated, postage-due or garbled Entries, transmissions, email or mail; or for lost, interrupted or unavailable network, cable, satellite, server, Internet Service Provider (ISP), wireless network, website, or other connections including those through and/or by any website, availability or accessibility or miscommunications or failed computer, satellite, telephone, cable or wireless transmissions, lines, or technical failure or jumbled, scrambled, delayed, or misdirected transmissions or computer hardware or software malfunctions, failures or difficulties; wireless service congestion; failures or malfunctions of phones, phone lines or telephone systems, wireless towers or cellular tower equipment; any error, omission, interruption, defect or delay in wireless or other transmission, processing, or communication; non-delivery; misdirected, blocked, or delayed email notifications; printing, typographical or other errors appearing within these Official Rules, in any Contest-related advertisements or other materials; or any other errors, problems or difficulties of any kind whether human, mechanical, electronic, network, computer, telephone, wireless service, mail, typographical, printing or otherwise relating to or in connection with the Contest, including, without limitation, errors or difficulties which may occur in connection with the administration of the Contest, the processing of Entries, the announcement of the Prize or in any Contest-related materials. Released Parties are also not responsible for any incorrect or inaccurate information, whether caused by website users, tampering, hacking, or by any equipment or programming associated with or utilized in the Contest. Released Parties are not responsible for injury or damage to entrants’ or to any other person’s computer and/or wireless device related to or resulting from participating in this Contest or downloading materials from or use of the website. Persons who tamper with or abuse any aspect of the Contest or website or attempt to undermine the legitimate operation of the Contest by cheating, deception or other unfair playing practices, or intend to annoy, abuse, threaten or harass any other entrant or any representative of Sponsor or who are in violation of these Official Rules, as solely determined by Sponsor, will be disqualified and all associated Entries will be void. Any attempt to deliberately damage the content or operation of this Contest is unlawful and subject to legal action by Sponsor and/or its respective agents. Sponsor shall have the sole right to disqualify any entrant for violation of these Official Rules or any applicable laws relating to the Contest, and to resolve all disputes in its sole discretion. Sponsor’s failure to enforce any term of these Official Rules shall not constitute a waiver of that provision. 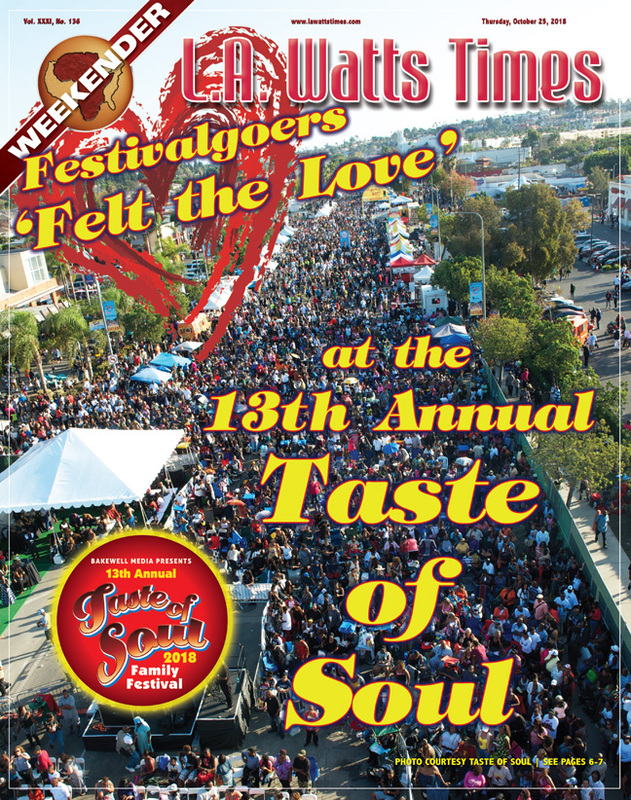 IN NO EVENT WILL THE RELEASED PARTIES BE RESPONSIBLE OR LIABLE FOR ANY DAMAGES OR LOSSES OF ANY KIND, INCLUDING DIRECT, INDIRECT, INCIDENTAL, CONSEQUENTIAL, OR PUNITIVE DAMAGES, ARISING OUT OF AN ENTRANT’S ACCESS TO AND USE OF THE TASTE OF SOUL MOBILE APP, THE HYUNDAIDIVERSITY.COM WEBSITE, AND/OR THE ENTRANT’S ENTRY, OR AN ENTRANT’S DOWNLOADING FROM AND/OR PRINTING MATERIAL DOWNLOADED FROM ANY OF THE MOBILE APPS OR WEBSITES ASSOCIATED WITH THE CONTEST. WITHOUT LIMITING THE FOREGOING, THIS CONTEST, THE PRIZE, AND EVERYTHING ELSE IN CONNECTION THERETO IS PROVIDED “AS IS” WITHOUT WARRANTY, GUARANTY OR REPRESENTATION OF ANY KIND, INCLUDING, BUT NOT LIMITED TO, NON-INFRINGEMENT, THE IMPLIED WARRANTIES OF MERCHANTABILITY, FITNESS FOR A PARTICULAR PURPOSE, OR ANY OTHER WARRANTY OF ANY NATURE OR EXTENT OTHER THAN SUCH LIMITED WARRANTIES AND FEDERAL EMISSIONS WARRANTIES AS ARE SET FORTH IN THE VEHICLE’S OWNER’S HANDBOOK. SOME JURISDICTIONS MAY NOT ALLOW THE LIMITATION OR EXCLUSION OF IMPLIED WARRANTIES, SO SOME OF THE ABOVE LIMITATIONS OR EXCLUSIONS MAY NOT APPLY TO ALL ENTRANTS. ENTRANTS SHOULD CHECK THEIR LOCAL LAWS FOR ANY RESTRICTIONS OR LIMITATIONS REGARDING THESE LIMITATIONS AND/OR EXCLUSIONS. Sponsor reserves the right, in its sole discretion, to cancel or suspend the Contest (or any portion thereof) should a virus, bug, unauthorized human intervention, or other events beyond the control of Sponsor, including but not limited to fire, flood, epidemic, earthquake, explosion, labor dispute or strike, act of God or public enemy, satellite or equipment failure, riot or civil disturbance, war (declared or undeclared), terrorist threat or activity, or any federal, state or local government law, order, or regulation, order of any court or jurisdiction, technical failures, fraud, or other cause not reasonably within the control of Sponsor undermine, interfere with or corrupt administration, security, fairness, integrity or proper operation of the Contest (or any portion thereof). In the event of cancellation, Sponsor may elect to identify a prize winner and award the Prize by judging all non-suspect, eligible Entries received up to the time of such cancellation. Sponsor also reserves the right, in its sole discretion, to modify these Official Rules for clarification purposes without materially affecting the terms and conditions of the Contest. CAUTION: ANY ATTEMPT TO DELIBERATELY DAMAGE ANY WEBSITE ASSOCIATED WITH THIS CONTEST OR UNDERMINE THE CONTENT OR LEGITIMATE OPERATION OF THIS CONTEST MAY BE A VIOLATION OF CRIMINAL AND CIVIL LAWS AND SHOULD SUCH AN ATTEMPT BE MADE, SPONSOR WILL DISQUALIFY ANY ENTRANT, AND SPONSOR AND/OR ITS RESPECTIVE AGENTS RESERVE THE RIGHT TO SEEK DAMAGES (INCLUDING ATTORNEYS’ FEES) AND OTHER REMEDIES FROM ANY PERSON OR PERSONS RESPONSIBLE FOR THE ATTEMPT TO THE FULLEST EXTENT PERMITTED BY LAW. Entries generated by a script, macro or other mechanical or automated means will be disqualified. In the event of dispute as to the identity or eligibility of any potential prize winner based on an email address or phone number, the winning Entry will be declared made by the “Authorized Account Holder” of the email address or phone number. “Authorized Account Holder” is defined as the natural person to whom the applicable service provider has assigned the email address or phone number. As a condition of entering this Contest, each entrant agrees that (i) any and all disputes, claims, controversies or causes of action arising out of or relating to this Contest, or any prizes awarded (each, a “Claim”), shall be (a) arbitrated on an individual basis only, and shall not be consolidated or joined with or in any arbitration or other proceeding involving a Claim of any other party, and (b) settled by binding arbitration in Orange County, California before a single arbitrator appointed by the American Arbitration Association in accordance with its then governing rules and procedures, and judgment on the award rendered by the arbitrator may be entered by any court having jurisdiction thereof; and (ii) under no circumstance will entrant be permitted to obtain awards for, and entrant hereby waives all rights to claim, punitive, incidental, consequential or any other damages, other than for actual out-of-pocket expenses. These Official Rules shall be governed by and construed and interpreted in accordance with the laws of the State of California, U.S.A, without regard for conflicts of laws or choice of law principles. 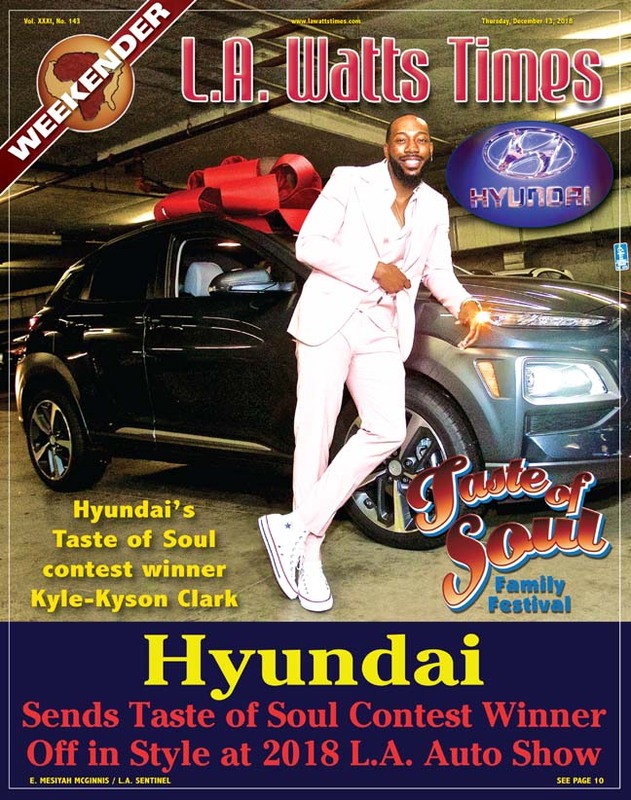 WINNER LIST: For the name of the prize winner, mail a request and a self-addressed stamped envelope to be received by December 31, 2018 to: The Hyundai “Reimagine Everything at Taste of Soul Los Angeles” Contest Winner List, c/o Centra360, 1400 Old Country Rd. #306, Westbury, NY 11590. © 2018 Hyundai Motor America. All Rights reserved.